“But no matter how much the mess and distortion make you want to despair, you can’t abandon the work because you’re chained to the bloody thing. It’s absolutely woven into your soul and you know you can never rest until you’ve brought truth out of all the distortion and beauty out of all the mess. But it’s agony, agony, agony – while simultaneously being the most wonderful and rewarding experience in the world. And that’s the creative process which so…..
You had to know that this was coming…Ha! No but seriously, I get it. These are trying times and I get the fact that none of us have much time to spare on our hands. And when we do, not many of us have the mental capacity to read a book – regardless of how good it is or how much it can help us. Annnnnnd that’s why I decided to meet you halfway and finally pull the trigger on…..
“What do you want?” Have you ever truly asked yourself this question? And, assuming that you have, have you ever dared to be honest with yourself and did your best to answer this simple, yet bold question? Without getting too far into it – I’ve been asking myself this question for some time now and it led me to a pretty weird place; definitely not the type of place that I thought it would lead me. This place made…..
What if the bad situations or circumstances in our lives didn’t hurt us so? What if we didn’t drown in them? What could that look like? What if the things that we couldn’t understand right now are truly an invitation and peek into our better selves in the future? What if the eagle and the tree had it right all along… The eagle: who uses the storm to take it to new heights. The same one that realizes that the…..
Hola friends! 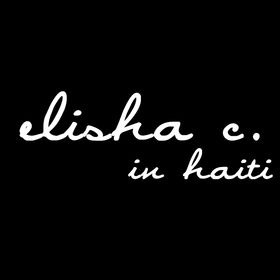 A buddy of mine @tbofox is taking another trip abroad to Haiti doing philanthropic and service work in support of Haiti relief via the Elisha C. foundation. Their vision is simple: providing aid first hand to Haitians (who have been known as one of the poorest countries of the Western Hemisphere for most of the last two decades). This strikes a chord in my soul so I want to help. I will donate any and all proceeds towards any purchases….. This might be a poem…maybe. This little prayer/reminder/poem has been on replay in my head since it first came to me several months ago after the writings and publishing of my “You Will” memoirs. I now do my best to recite these wordz (Hey now!) out loud regardless of what’s in front of me or how I feel. Somehow doing so always manages to bring me back to a good place. I think this happens partially because I know that I’ve been here before…we all have. …..
After years of a somewhat music hiatus it is my pleasure to announce our first show via our #Saages project. It’s with a heart so full of joy that I invite you all to celebrate this glorious night with us. 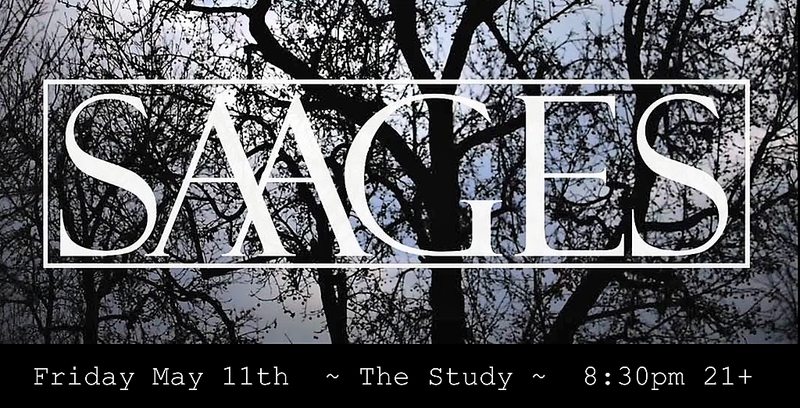 Friday May 11th at The Study in Hollyweird (but also fun) ~ doors at 7pm, SAAGES @ 8:30 pm . The show is 21+ and tickets are $10 pre-sale. They can be purchased through this link or the night of the show: https://www.tunestub.com/events/279137….. The big moment has finally arrived. It’s finally that time for all your hard work to pay off and for your wildest dreams to come true – you’ve earned it after all. You’ve dedicated countless hours, sacrificed a ton and threw in your blood, sweat and tears (literally) into the thing you’re about to try and hopefully win…and you blew it. You lost, again. Why does this keep on happening? How did I not deserve this? Is this ever going to happen? Without fault,….. Welcome. My name is Francisco Javier Melero Jr., author of You Will – Memoirs of a Loving Father. I’m so happy to have you as a visitor to my blog about my new book. This project is very special to me, and I hope to share some of that excitement with you here. I’ll be using this blog to interact with you about You Will – Memoirs of a Loving Father, expanding on some of the topics in it and…..